It was only when I started researching on sleep did I understand the science behind the different sleeping positions. Earlier, it was all the same. I mean, who would want to go to bed keeping in mind the scientific details? …Until I got to know of the different sleeping positions, and how each can impact our health in the long run. And most importantly, I got to know which sleeping position is the best. Which is the best direction to sleep? What is the right sleeping posture? Which side to sleep? Too many questions, right? But this post has all the answers. So, let’s get started. What is your preferred sleep position? What are its pros and cons? And ultimately, is that the best position to sleep? How were we positioned inside our mother’s womb? Well, I don’t think any of us would remember. But this happens to be one of the commonest sleep positions. And, for whatever reason, women are twice as likely to sleep in this position than men. Since this is a side sleeping position, this can be very comfortable. This position also reduces the chances of snoring. This position can result in a curved spine over time – causing back pain. And for some individuals, sleeping in the fetal position without a pillow between the legs can cause hip or knee strain. When you lie on your back with both your arms on your sides. This is my preferred way of sleeping. By sleeping in this position, you are doing a favor to your spine and neck. Your back is straight and is in no way bending. The spine is well supported. You would also keep any friction from wrinkling your face, and hence, this could be your preference if you are a cosmetically inclined individual. Snoring. And sleep apnea. This is because sleeping on our back forces the base of the tongue to collapse into the airway. This obstructs breathing and results in snoring or breathlessness. In fact, sleeping in this position is so closely linked to snoring that doctors recommend side sleeping as a remedy. Let’s say you are diving into a swimming pool. How would your position be in the initial moments when you launch yourself into air? Yes, that’s freefall for you. When you sleep on your stomach (also called stomach sleeping) with your hands above your head, and your head turned to a side. Might ease snoring. That’s it. Frankly speaking, this could be the worst sleep position. This is because it flattens the natural curve of your spine, leading to lower back pain. Also, sleeping on the stomach means you tend to keep your head turned to one side all night – this can strain the neck. 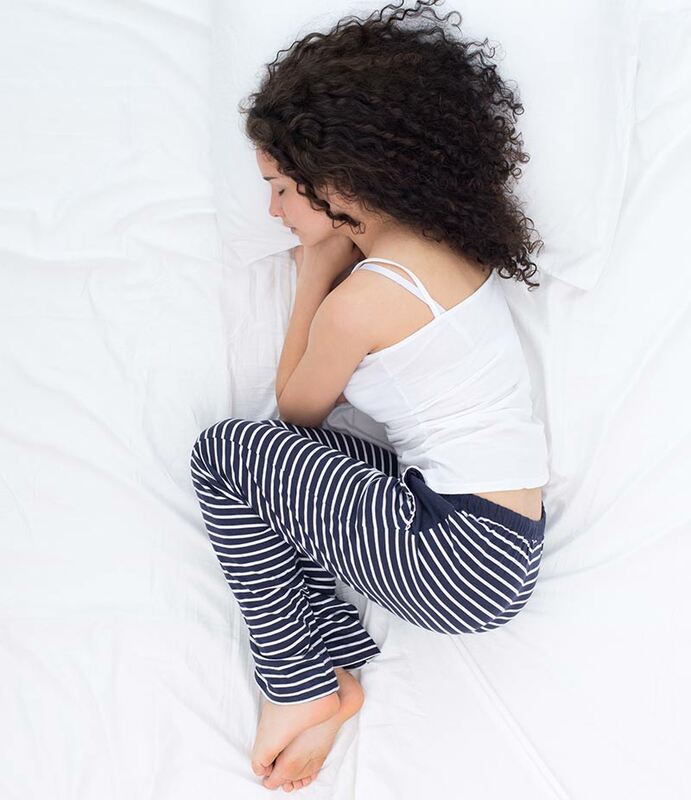 If this is the position you feel the most comfortable in, you can place a pillow beneath your hips while sleeping. This helps the spine maintain its natural curvature. This is when you sleep on your side with both your arms out in front of your body. This is another variation of side sleeping (the other one being the fetal sleep position). It keeps the spine properly aligned and prevents back pain. This position can also help prevent snoring and sleep apnea. Since the arms are stretched out, your shoulders might experience some strain and discomfort. This is another variation of side sleeping. You sleep on your side with your arms stiff and close to your body. Like a log. All the advantages of sleeping on the side. Properly aligned spine, no back pain, and reduced snoring or breathlessness. Since you are more likely to stay in the position for a longer time, there would be constant pressure on the arm that is close to the mattress. The entire weight of your body would be falling on the arm, and might cause you to wake up to a sprain in the morning. What Is The Correct Sleeping Posture? We have seen the different sleeping positions, and their pros and cons. But of these, which is the correct sleeping position? Research states that sleeping on one’s side could be the best way to catch some Zzzzzs. Your spine is elongated, and this prevents neck or back pain. It keeps your airways open, and hence, you are less likely to snore. You are less likely to suffer from sleep apnea. Sleeping on your left side also helps ward off acid reflux or heartburn. Sleeping on your back is equally healthy, provided you don’t snore. If you have a snoring problem, it is recommended you sleep on your side. Side sleeping and back sleeping are also good sleeping positions to relieve back pain. They help keep the spine properly aligned and alleviate pressure. All said and done, there will be that one sleep position you would be absolutely comfortable in. Just like how we have our individual sleep patterns, we also have our preferred sleep position. Sticking to that is wise, as that is how your body naturally falls asleep. You probably can use certain techniques (like placing a pillow under your hips) to minimize the ill effects and sleep better. Let us know how this post has helped you. Do comment in the box below!